Bollyjazz brings a refreshing approach to playing classic Indian Film tunes through Jazz rhythm and harmony formats, keeping the melodies intact. 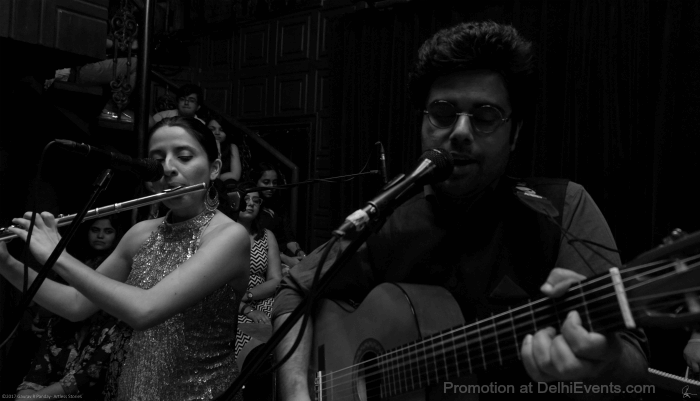 The concept also helps in bringing various musicians in collaboration to create a unique sound to the commonly heard songs of the Indian cinema of the 50’s and 60’s mainly. In a time where any experimentation with music, especially Hindi film music, meant simply remixing popular tunes to club beats, Nikhil Mawkin envisioned an amalgamation of two seemingly disparate genres: Bollywood music and Jazz.